You’re a leading digital marketing agency with a healthy portfolio of clients. Demonstrating the value you’re delivering on a regular basis through reports and dashboards has become increasingly time-consuming. You’re left with little time to focus on growing your business. How can you save time on reporting to your clients, while delivering superior quality reports that will help scale the business? Automate data aggregation across multiple marketing platforms. Template output by client type while maintaining a custom look and feel. 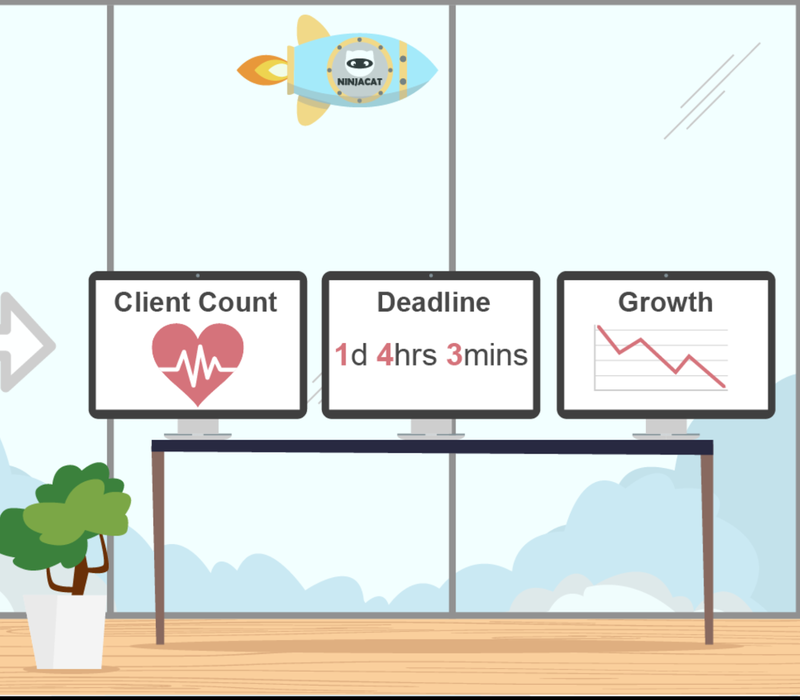 Monitor key performance indicators (KPIs) at a glance. Efficiently convey how goals are being met/exceeded. Scale workflow to achieve growth. 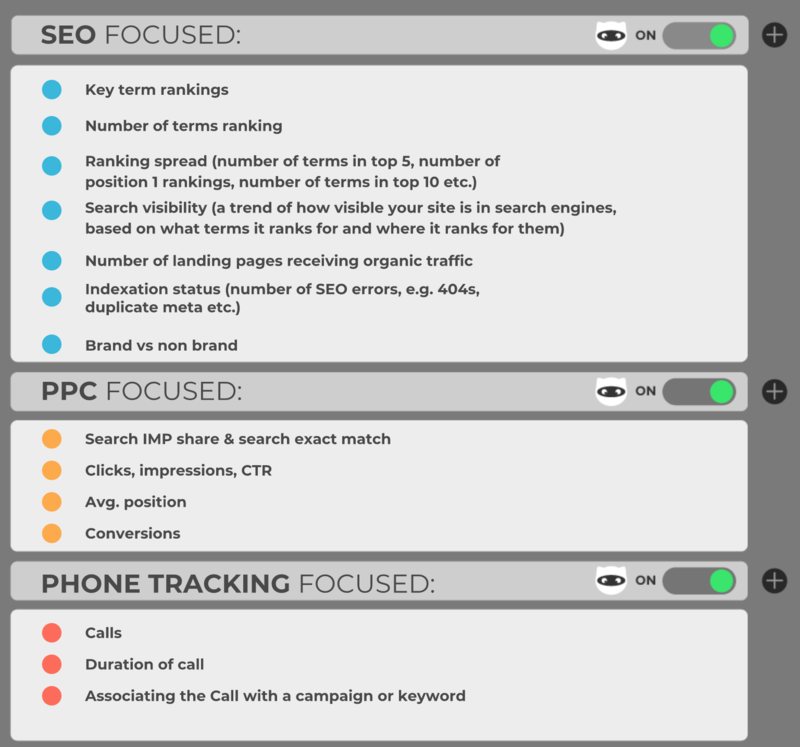 Stay abreast of multiple campaigns across your entire client base. For digital agencies, scaling can mean many things. If you work with franchises scaling can be providing small variations of reports and dashboards for a large number of new clients. It can also mean explosive client growth, perhaps from a convention you attended. 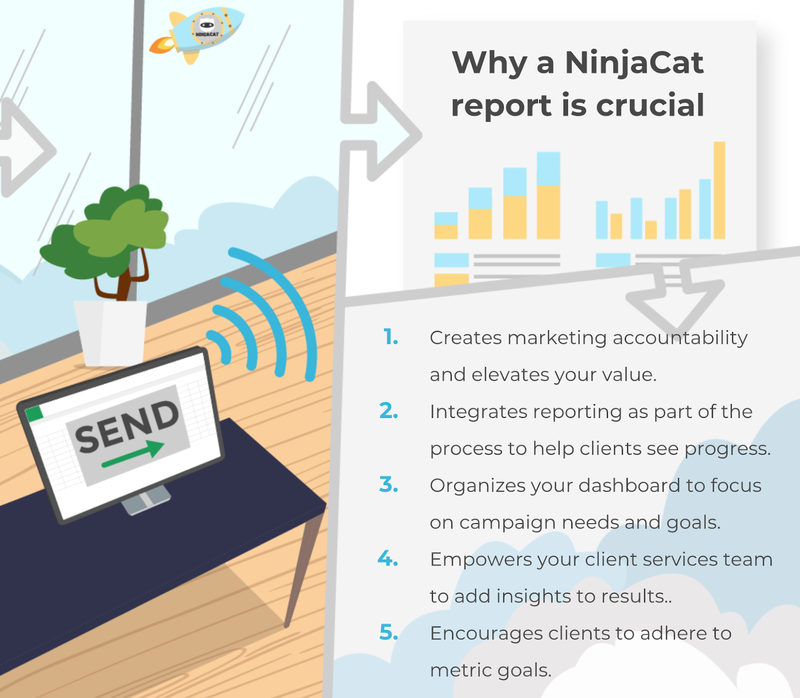 Regardless, the ability to deliver solid, quality reports on time is at the heart of NinjaCat. Scale, seamlessly from 1 to 100,000 clients. Close monitoring and communication is required throughout the journey and ideally facilitated by regular reports. However time constraints usually cause reports to be rushed out the door. They don’t nearly reflect the true time and consideration devoted to each client. As one of your best tools for maintaining the satisfaction of current clients and winning new clients - is this an area you should glaze over? Definitely not. It's likely your marketing efforts span several platforms like Facebook, Twitter, AdRoll, Instagram, AdWords and many others. How do you consolidate all of this data? What if your client only wants to see, collectivly, all social impressions. NinjaCat is great for those types of customized scenarios you or your clients need. Aggregate data and apply custom formulas to track exactly what you want to track. There is no such thing as an "odd metric" with NinjaCat. Your imagination is your only limit. Ultimately, the purpose of any marketing report is to demonstrate success and contextualize loss. The key to being able to do this is to know how success and loss are defined and measured. In reality, no report should focus exclusively on the primary KPI. Take cost per order for example. If all a report shows is cost per order over the relevant timeframe, it offers little value. What it must do is support the KPI metric with cause and effect. What happened during the timeframe and how did it affect the KPI? And of course, it is always smart to include additional relevant metrics that demonstrate value in other areas. In the full White paper: Scale your Agency with NinjaCat we further discuss these ideas and we also touch on combining beauty and function, how to convey that your goals are being met, scaling workflow to achieve growth goals and managing multiple clients and campaigns. Download the full white paper here. You can also visit our case study section and discover how NinjaCat was implemented for several specific situations.